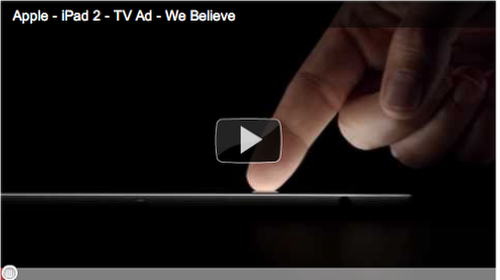 Apple have released their ultra slick brand new iPad 2 tv ad and it is awesome. Their marketing is second to none and is more focused on user experience rather than specs. This is great, afterall user experience is what it is all about.